Sweeping curves and an oval shape provide everyday comfort and pleasant performance. 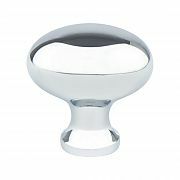 To complete its modern feel, the zince crafted Valencia knob is finished in an illustrious polished chrome. Note: This product is also known as 7022126C, BQ7022126C on other websites.